When you confront this card's Problem, turn it over. 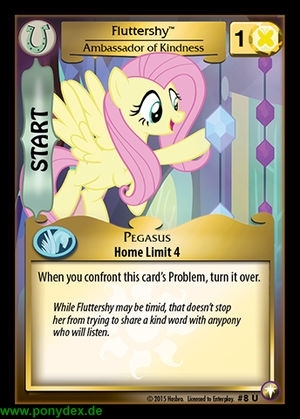 While Fluttershy may be timid, that doesn't stop her from trying to share a kind word with anypony who will listen. At the start of a Problem faceoff involving this card, each opponent loses 1 action token. 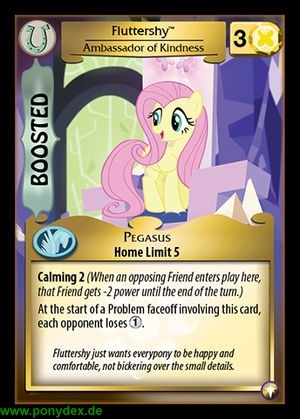 Fluttershy just wants everypony to be happy and comfortable, not bickering over the small details.